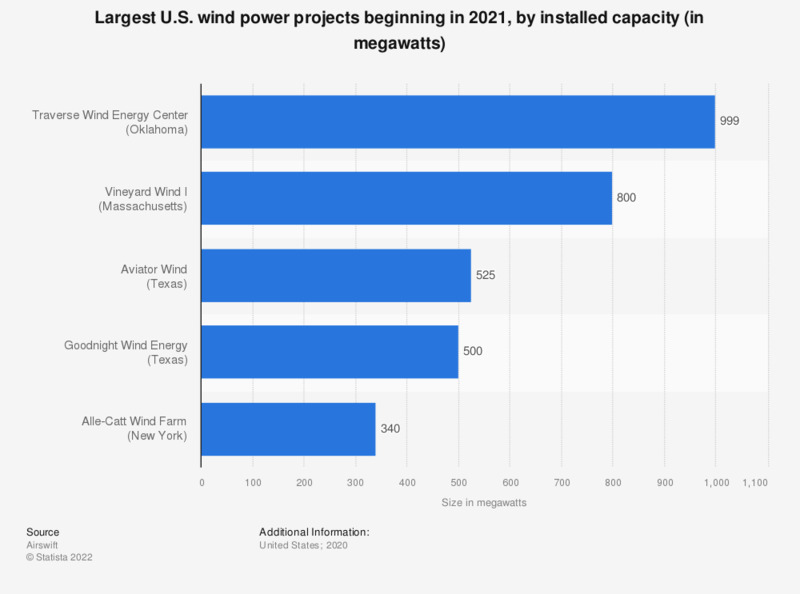 This statistic represents the largest wind power projects in the United States as of 2018, by installed capacity. With around 782 megawatts of installed capacity, the Roscoe Wind Project wind farm in Texas was ranked third. The distribution of installed wind energy capacity in major countries can be accessed here.